Joseph L. Vaughan to Bob [Robert] Reid, 7/25/63. J.N.G. 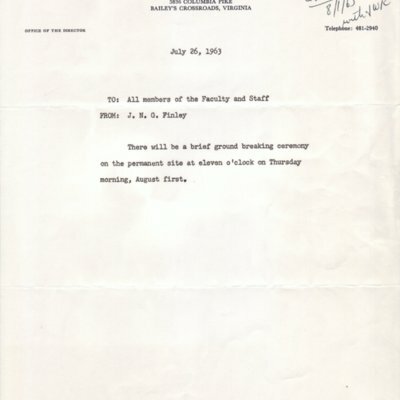 Finley to all members of the faculty and staff, July 26, 1963. 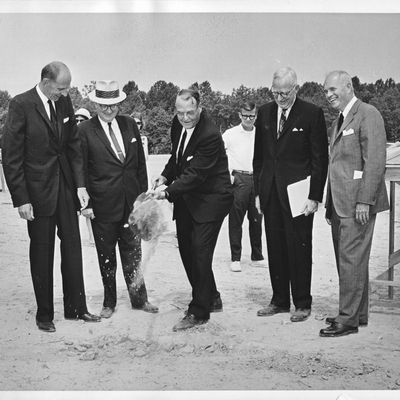 Groundbreaking ceremony for the Fairfax campus, August 1, 1963.